After Fako Division, the Makongo Family Charity’s team of volunteers have been visiting Internally Displaced Persons, IDPs living in bushes and forests in Meme Division of South West Cameroon. Mafac volunteers report that the local community leaders do thorough checks before allowing relief material to reach the IDPs. Transportation of the food and nonfood items into the bushes was also a major challenge. 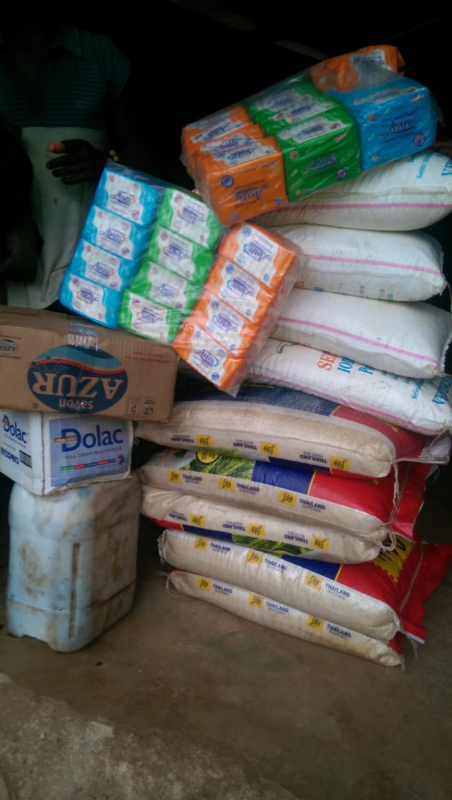 The relief material distributed to the hundreds of displaced that took place between May 10 -15 2018, included bags of rice, vegetable oil, packs of maggi cubes and bags of salt. The most demanded sanitary pad for women and bathing soap were among the toiletries. 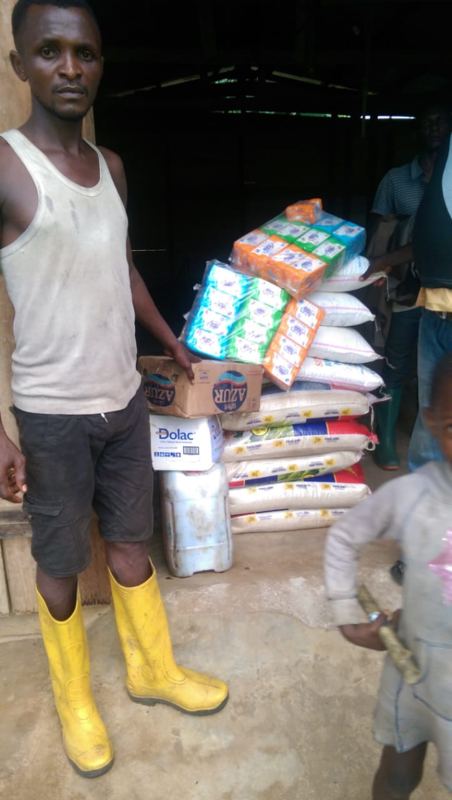 The milk which was in the package, was reserved for children born in the bushes in Ngongo Bakundu and Bole Bakundu, where the Mafac relief team of volunteers visited. The first phase of the project was worth some $700 USD. From the videos and pictures that emerged from the bushes and forests there is deep misery among the people who do not have access to portable water or medication. They are living in small groups in different bush houses and sleep in cocoa ovens amid fears as the rainy season approaches with the effects of cold. From Bole Bakundu and Ngongo Bakundu, the Mafac relief team does not rule out reaching out to those who fled violence in Kwa Kwa, Foe Bakundu and other areas and are now living in nearby bushes.